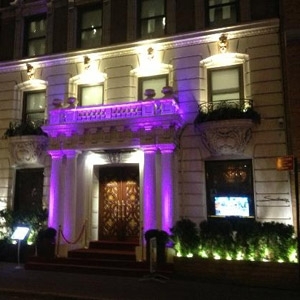 The Sanctuary Hotel property located in near Times Square, New York City, features hotel bedding made by DOWNLITE. The Sanctuary hotel uses our 50/50 down and feather blend pillows. They also use our middle weight down comforters. Of note the hotel comforter sizes run skimpy - so we will also list a sister item with bigger sizes and nicer fabrics for home. These products are available for sale to home customers.